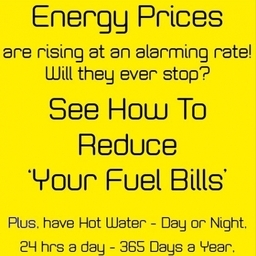 We Can Help You Save Money, In More Ways Than You Can Imagine The Energy Crisis is Very Real. It is not going to just disappear! We can help you Save Energy, Reduce your Carbon Emmissions. And show you how to get all your purchase costs back.TWICE! About Us Energy prices are rising at a phenomenal rate - 60% in the last 10 years. What will the rises be like in the next 10 years? 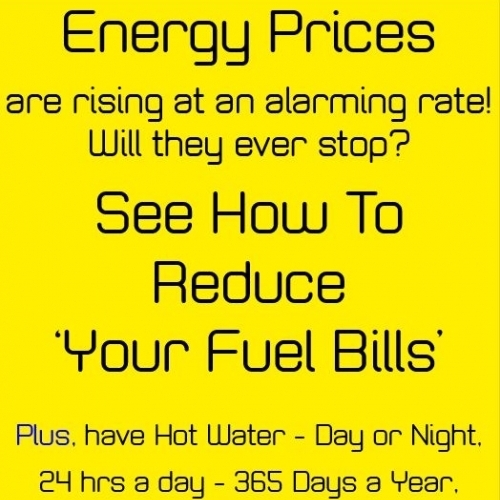 We can help you reduce future energy price increases by an average of 30%. 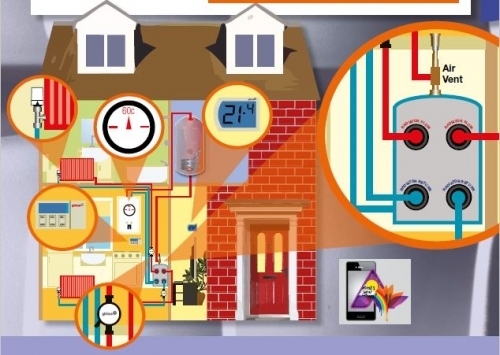 Using our retro-fit energy reduction changes with your existing central heating system will enable us to turn your boiler temperature down from its initial 75/80 degrees, to 60 degrees. Thats a lot of Co2 saved and your money. We have the most advanced water heating system on the market that can help reduce your fuel usage by an average of 80% and save a lot more Co2. UK manufactured we are proud to fly the flag. Quality Products and Service Over 3000 installations have been carried out in the UK, so your confidence in us should be high, matching the quality of the products and service we provide. 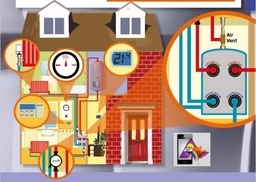 Central Heating Management The Central Heating Management System is proven to make savings for all common boiler types, reducing the fuel used. In particular, condensing boilers will only condense efficiently when the water returning back to the boiler is below 55'C. Unfortunately with the current systems, most boilers only condense at the start up stage as the return temperature exceeds 55'C. 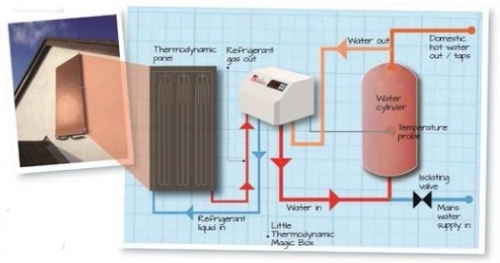 Therefore most households lose out on the benefits that condensing boilers provide. When the Central Heating Management System is installed, the return temperature stays below 55'C keeping your modern condensing boiler in condensing mode. 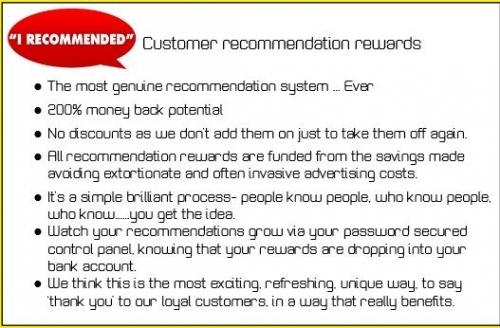 Get Your Purchase Costs Back Twice Instead of us needing to pay huge amounts of money to newspapers, radio, television and many other often invasive and always expensive, marketing methods to generate an enquiry, (which incidentally often don't even work very well), we simply pay a 'Thank You Reward' to the satisfied customers who recommended two new people to be customers of ours themselves. Then, through the age old natural process of recommendation, those new customers will go on to recommend other people they know and so on. It's that easy!